The BASI Pathway - Plan your career. The International Centre of Excellence - ICE - is a European Business Partner of BASI. ICE have been granted the licence to run official BASI courses in Val d'Isère, which means that when you go on a course with ICE you are going on a course with BASI. This ensures that you will receive top quality tuition from the most experienced and forward thinking BASI Trainers. What does this mean for aspiring BASI Gap students? This means that the very people who are training you on a Gap course will be the ones examining you at the end. This means a seamless transition from training to assessment with the best possible preparation for the exams. The trainers can monitor your progression from day 1 of the course and there will be no surprises when the assessed course comes in the final two weeks. This is the only course of its kind to do this. Anywhere in the World. 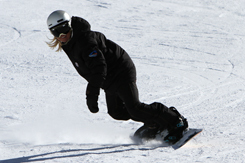 What does this mean for people starting a career in snowsports? 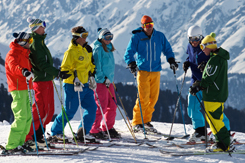 If you are planning on changing career to one in snowsports, then it is vital that you embark on your career with an official training centre. Many people take a gap year for a variety of reasons, but if you are serious about achieving a qualification that will lead to a job and then a career, you need to spend your money and training time wisely. The depth of experience at ICE is unparalled, creating thousands of instructors over the years, many of whom have gone on to achieve BASI Level 4 and who make a good living in the industry. 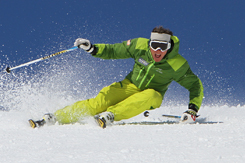 ICE is run by BASI Trainers, Mark Jones, Rupert Tildesley and Dave Cowell, who are also directors of Mountain Masters Ski School in Val d'Isère. These three trainers have been providing training for BASI students and have running BASI courses for many years. 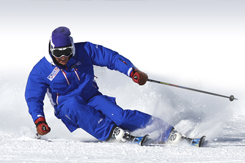 They are all current members of the BASI Demo Team and represented Britain at the Interski Congress in Crans Montana, Switzerland in 2003, Korea in 2007, St Anton 2011, Ushuaia 2015. Behind them is a wealth of experience and knowledge that forms the core of the ICE philosophy.